Respawn Entertainment's Star Wars also likely delayed. Electronic Arts provided several release date-related updates today. Anthem, the online multiplayer action game from BioWare, will now launch in early 2019 instead of its previously planned fall 2018 release window. This confirms a report from last week. 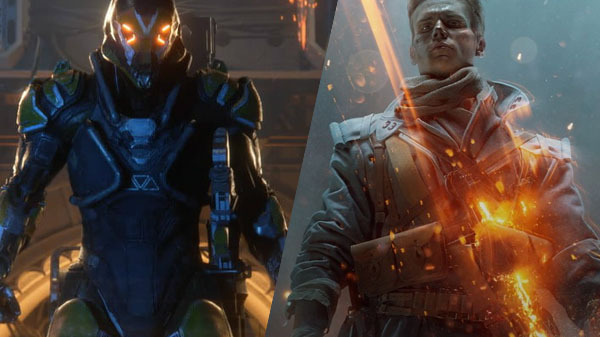 According to Electronic Arts, a new Battlefield is planned for release in October, which it determined would overshadow Anthem, a new intellectual property. As mentioned above, the next Battlefield game will launch in October. During its earning call today, Electronic Arts said the May 2015-announced Star Wars game from Respawn Entertainment will likely shift to fiscal year 2020, meaning it will launch between April 2019 and March 2020. In sales-related news, Electronic Arts said that Star Wars Battlefront II sold nine million units instead of the 10 million it had projected for the holiday quarter. The company also revealed it plans to bring back loot boxes to the game “in the next few months.” The FIFA community grew to nearly 42 million players on console alone during the last calendar year, and Battlefield 1 now has more than 25 million unique players life to date. Thanks, EA.com, @SarahENeedleman (2) and @GeoffKeighley.